Admit it, we’ve all been there. 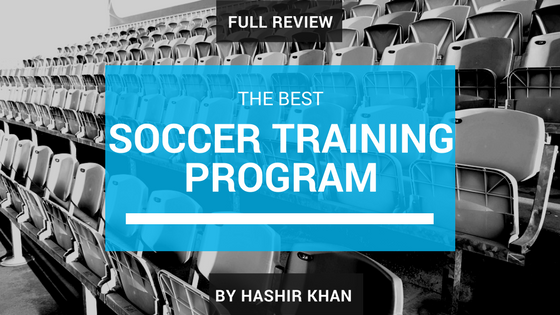 Spoilt for choice when it comes to picking the BEST football training program/system. Wouldn’t it just be so convenient to have a run-down of the best of the best? And finally see for yourself, which is actually the most beneficial? You’ve come to the right place. Today we’ll look at the top 3 football training programs on the market: Progressive Soccer, Become Elite, and TrainEffective. To save time, we’ll give you quick summaries of each program, and let you watch the video as well, then it is up to you to decide which program is the best fit for you! 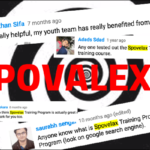 Soccer Training Program Review! Here’s the Top 3! Who is Nick Humphries and why should you trust him? Nick Humphries was playing at a recreational level at age 16. Just two years later, he was offered a professional first division contract in the Hungarian 1st division. If that’s not impressive enough, how about training with the U-20 Australian National Team? Not too bad, Nick’s rise to the top was instrumental in the creation of Effective, and the content within is which propel him to all around Europe on various trials. TrainEffective is not a zip file or a pdf. It’s not some schedule which you need to follow for 3 months. Effective is a full-on, footballing platform for only the highest level players. In the Game Brain, professional staff from Chelsea FC, Stoke City FC, Reading FC, Nottingham Forest, list goes on, analyze and show you what makes professional footballers so good and so smart in their specific areas. This won’t be delivered in Progressive or Become Elite. Also, imagine being able to plan your workouts for up to a year in advance, look no further. Effective is a motivated community of footballers who are striving for greater each and every day. Some of the coaches even respond to the questions you ask them! Effective is just a different type of product. You are not restricted to a set of drills and a training schedule. You create your own training schedule tailored for your needs. Workouts and exercises are multi-faceted. For example, the Air Control, you will not just improve your touch out of the air, but scanning and shooting is all worked on in each rep. So you are hitting three birds with one stone in a way. Speed/Strength programs improve your physical part of the game, whereas other people will charge you additional to use these. You will develop your technical aspect with countless exercises and workouts, mental aspect with the Game Brain, and even your physical aspect with bodyweight workouts. New content is added monthly, so staleness in your development will be non-existent! My schedule last week. I earn points and badges for every activity I complete. Who is Matt Sheldon and why should you trust him? Matt Sheldon is currently plays his professional football for FC St. Louis in the USL. His story to professional football is quite extraordinary. From having numerous setbacks during youth/high school football, to going all the way to Germany, living in a tiny apartment, playing in the German lower leagues. Truly inspirational to see his success now, and creates consistent YouTube content. So the marquee program to look at with Become Elite is “The Blueprint” which will cost you a fair $35. Other programs include the Speed, Game-Fit, Supreme Tekkers, and Offseason. All of these programs will be delivered as a standard pdf file. Now, Matt does offer two custom programs, at $100 and $130 each, which are a bit hefty. The Blueprint is a fantastically composed program. However, if you are looking to print it out, have an extra ink cartridge on hand! The blueprint is unique as you are working on a separate part of your game every-day. You may only be working on shooting for one session a week, although there will be improvement. The Blueprint gets difficult for a player who is looking to quickly improve a certain area of his/her game, as the training schedule is not lenient in this aspect. Who is Dylan Tooby and why should you trust him? Dylan Tooby is an amateur footballer. He let go of his dream of playing professional football a few years ago. However, Dylan has helped hundreds of thousands of players through his YouTube channels. It is difficult to find YouTubers who have been as productive and consistent with their content as Dylan has. What is the actual product (Play Like a Pro)? The Play like a Pro program, is delivered as a zip file. Within the zip file are loads of videos which show you how to perform basic skills, and audio books to help your mental game, and a full training schedule. Now, I’m not exaggerating when I say this, you can find literally everything in this program on YouTube already. Also, most of the videos which you receive, will be on Dylan’s YouTube channels (The Soccer Essentials, Progressive Soccer) already. So in a way, you’re paying for already free content. Hmm..
You will without a doubt improve with Play like a Pro. The training schedule is made so that you are consistently training. Not only will your football improve, but so will your overall body strength. Although after a few weeks, yes, development does stall and the program just becomes too repetitive. The downside of Play like a Pro is that, you are not given a whole lot of choice when it comes to drill variety. If you get bored of the program, feel free to create your own drills, or go onto Dylan’s YouTube channel. Who is Matt Smith and why should you trust him? 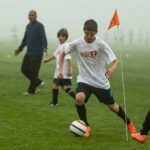 Development through Epic Soccer Training is a good way to go if you do not want to downloads loads and loads of videos, but still seek in-depth content. Just like Progressive, your core skills will develop. The “workbook” included is about the size of Become Elite’s Blueprint, and is overloaded with information, and not enough structure/organization. So there you have it, you now have all the information needed when picking a football training program. There should not be any excuses about not having the information, you, the dream-chaser, have the information. You have a list of all tools provided in each program and the benefits. Most importantly, you see who and which clubs from around the world have consistent input in these programs. For basic footballers, the choice will be obvious. For the more advanced, or the more advanced seeking, the choice should also be obvious. Although that is not for me to decide, that is for you to decide! Do you want to impress at your local youth club? Do you want to put in Man of the Match performances week in week out at the Emirates, Velodrome, or Nou Camp? These are not extraterrestrial things which only a small percentage are ABLE to achieve. They are something only a small percentage of us will CHOOSE to achieve. What will you choose?